Complete Residential •Weekly or Bi-Weekly •One Time Cleaning. We also offer on call cleaning services. 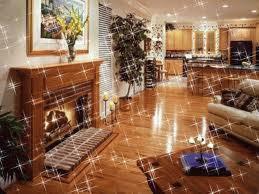 You will have the same cleaning team each time we visit your home. We are owner operated and your satisfaction is guaranteed. Deep Cleaning and/or Spring Cleaning consists of each room being thoroughly cleaned from top to bottom and left to right, ceiling fans, baseboards and window sills. Bathrooms and Kitchens will be completely cleaned to include scrubed and sanitizized. Cleaning is charged hourly, and will consist of as much detail as the customer requests. Can include inside/outside cleaning of oven and refrigerator, cabinets cleaned inside/outside, closets cleaned and inside windows cleaned. Outside windows can also be cleaned at an additional charge.